Leslie Charteris' brother Roy Henry (Bowyer) Yin, who recently celebrated his 100th birthday on October 7th, passed away at the age of 100 in Singapore this past Tuesday, December 14th. Both Leslie and Roy were born in Singapore, with elder brother Leslie appearing in 1907 with Roy following in 1910. Roy went to King's College as an Maths undergraduate in 1929, then switched to History and graduated in 1932. Roy developed a passion for the music of the church, and formed lifelong friendships with the Dean of Chapel, Eric Milner-White and the distinguished choirmaster, Director of Music Boris Ord. in 1934, at the early age of 23, Rev. Yin became the Chaplain (Deacon) at King's College where he served until 1937, and then went on to Hurstpierpoint College in Sussex, where he was Chaplain from 1937 to 1945. In 1946 he became Chaplain and Master of the Choir at St Thomas' College in Mount Lavinia, Sri Lanka, where he stayed until 1962. He was a vicar at St Hilda's Church in Katong, and finally capped-off his illustrious career as a resident priest at St Andrew's Cathedral -- where his services were always popular with parishioners. 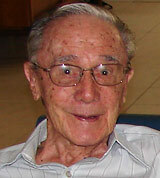 Roy Henry Bowyer-Yin was well-loved, and active in the church until his 90s. He died of old age on Tuesday at his home on the East Coast of Singapore at the age of 100. It's been non-stop SAINT the past few weeks as we work on the screenplay for the new two hour TV-Movie THE SAINT IN NEW ORLEANS. We keep revising, re-writing, answering network notes, etc. It keeps getting better, and there ARE some very funny lines and some hot-hot action! I thought we had nailed it good with the most recent version, and now we only have a couple very minor notes to address, which we will do tomorrow. So, if all goes well, the world will once again experience the joy, humor, and melodrama of Leslie Charteris' famous hero, THE SAINT. What was I working on when I paused to write THE SAINT IN NEW ORLEANS? I was working on THE RETURN OF THE SAINT -- a new full length novel set in UK, Malibu, Central America, and (briefly) Finland! Mostly it is in the UK where Inspector Teal has been dragged out of retirement, and finds himself once again dealing with our endearingly dangerous desperado, Simon Templar. Hopefully you will see the new TV show, and the new novel in 2011.